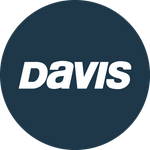 Davis Instruments Support, FAQs and Troubleshooting - Are WeatherLink.com 2.0 features free? All Categories ​>​ FAQ ​>​ WeatherLink.com ​>​ Are WeatherLink.com 2.0 features free? Yes. Bulletin and Map features are available to you for FREE. To access Chart, Data and Mobilize features, upgrade your account to Pro Tier for only $3.95/mo by clicking ‘UPGRADE PLAN’ button in the User Account dropdown menu. If you are an existing or a new Vantage Connect or EnviroMonitor user, you will get the Pro Tier access as a part of your regular monthly service fee. If you are an existing WeatherLink.com user with an active WeatherLink Network Annual Subscription (WeatherLink.com 1.0 “blue page” subscription), you will be prorated for the remaining duration of your subscription with an upgraded Pro Tier full of advanced features (Data, Chart, Mobilize). What features are available on WeatherLink.com 2.0?